Makeblock App provides a comprehensive robot control experience from building instruction to the pre-set controls to programme robot movements. 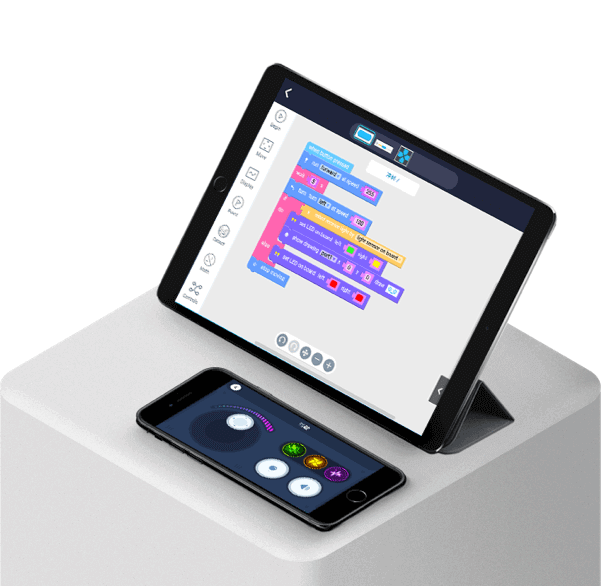 Children can also define their own robots controller with the app, and even further program the controller functions using block-based coding. A 360° building manual is designed to free children from verbose descriptions and helps them to learn how to build step by step. In the process, children get to know the mechanical structure and develop spatial intelligence. The app has multiple control modes. Children can control the robots with one-button or the flexibly-combined controls. Users can give the robots endless possibilities by making their robots perform challenging actions with the block-based programming. 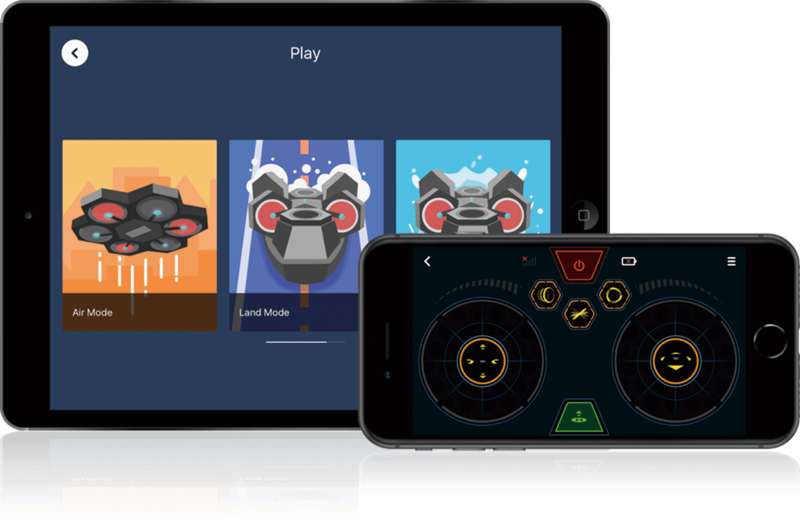 With the robotic add-on packs and multiple advanced modes in the app, children can code their robots to do anything they can imagine!